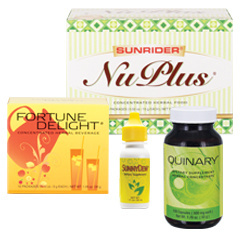 The 2008 Asia Pacific Economy Council awarded Fortune Delight Health Drink the title of “World Health-Care Products Top 100.” In addition, the Organizing Committee made it the official wellness product of the event. Some well-known American entities participated, including The Morgan Group, the U.S. Federal Reserve Bank, and UBS. Also in attendance were hundreds of experts, scholars, and entrepreneurs from a variety of organizations. It was hosted in part by The Global Competitive Organization and the China Recycle Economy Research Center. Awards were presented to recognize enterprises and products for achievement of excellence as well as their contributions to society. Winners were chosen by votes from the general public and assessment from the Expert Accreditation Committee. Since this winning health drink is not typically sold at the retail level, but primarily at an online health food store, it may not be familiar to everyone. However, there are millions of Fortune Delight consumers around the world and many of them swear by the benefits of this beverage formula. A reason this health drink was awarded such a prestigious honor at an economic event is the value per dollar consumers receive from it. 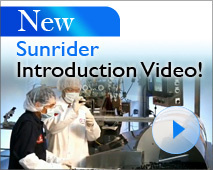 The way the nutrients from the plants are concentrated means added benefits for the user. Many Fortune Delight consumers rejoice in the fact that one small, inexpensive packet provides flavor and extra nutrition to as much as an entire quart of plain water. So, the idea is more value for the money with added flavor and nutrition that would be impossible to get from plain water. Different from artificially enhanced vitamin waters and caffeine boosted energy drinks, this award winning health drink is made from all natural ingredients. Fortune Delight does not contain any added sweeteners or isolated nutrients, but is made from real fruits and food grade herbs. Each distinct flavor is formulated with a variety of herbs and fruits such as real peaches, lemons, raspberries, cinnamon, chrysanthemum flower, jasmine, camellia extract and lalang grass root. Despite ongoing reports of health consequences, many Americans are still drinking sodas, sugar-filled vitamin waters, and so-called energy drinks loaded with dangerous amounts of caffeine. While many of the undesirable elements consumed each day are quickly eliminated, others may be stored — and even trapped in the body, especially in fat cells. Fortune Delight health drink complements the body’s natural processes, assisting in the elimination of wastes and impurities, which may be stored in cells. Consumers of this health drink have reported improved digestion, increased energy, stamina, natural weight loss and lower cholesterol levels just by drinking it on a regular basis. 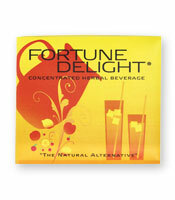 Since it is not available in stores, those who wish to buy Fortune Delight need to search online health food stores for natural health drinks.